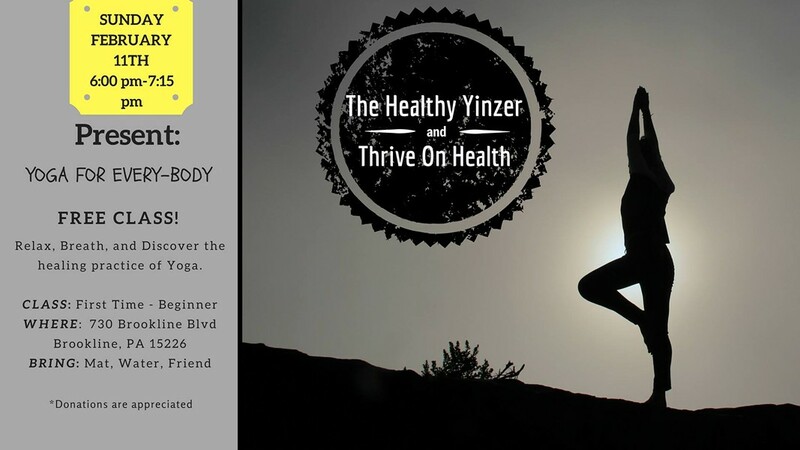 Join Thrive on Health and The Healthy Yinzer for free yoga on select Sundays! The class is geared towards every body with no necessary knowledge or skill level. Bring a mat, water, and a friend!